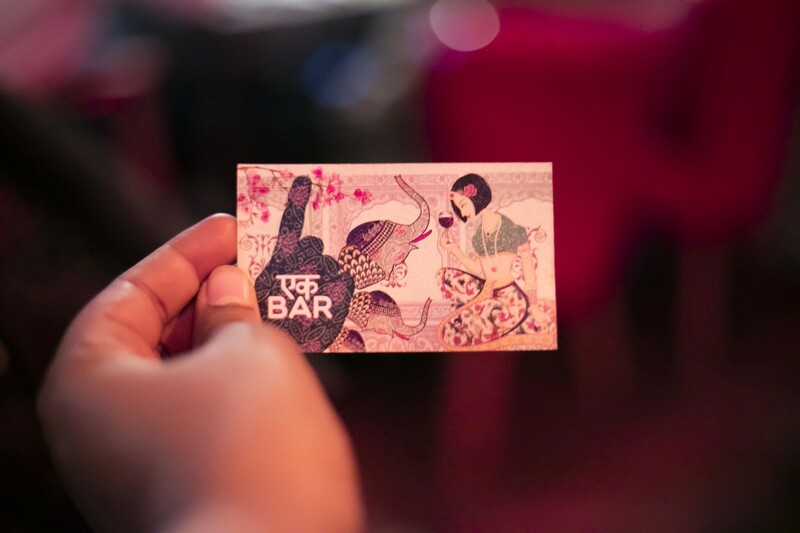 Indian but not desi — Ek bar, classic in making. 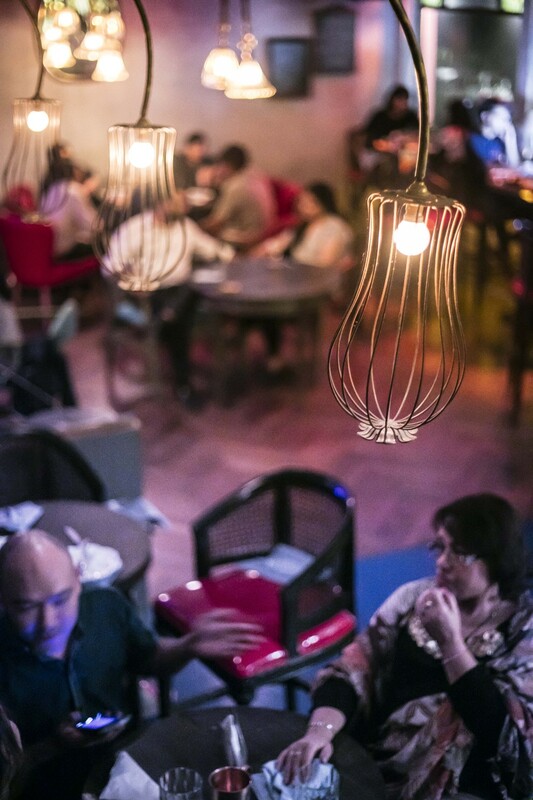 A place for stories and glories of good fooddrinking and merriment. 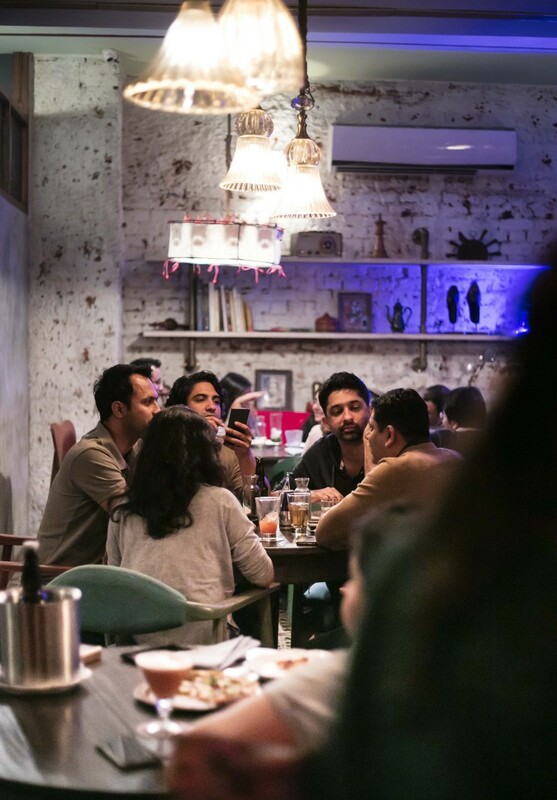 With one of the most kitsch settings in the yesteryear’s South Delhi’s chic and pompus Defence colony, fondly called the Def Col sits the ornate Ek Bar. 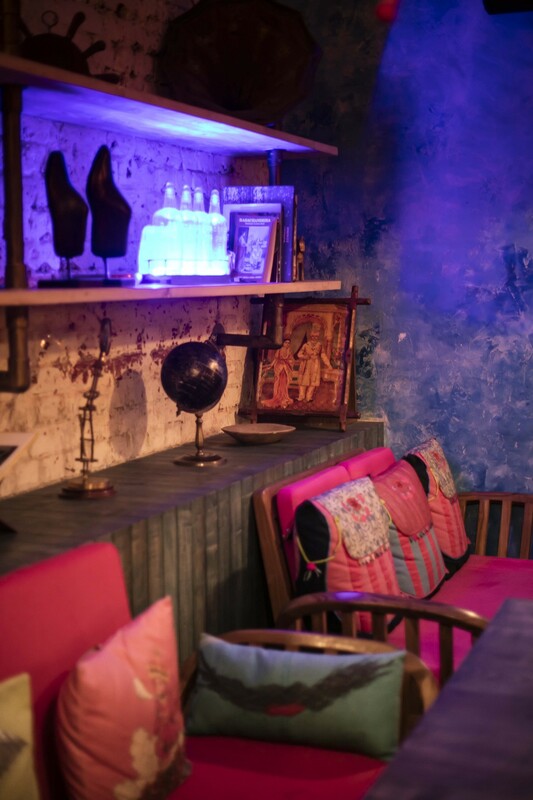 With its brazen old world charm meets the clever modern day setting the evening service only quaint restuarant who likes to call itself an Indian Bar. 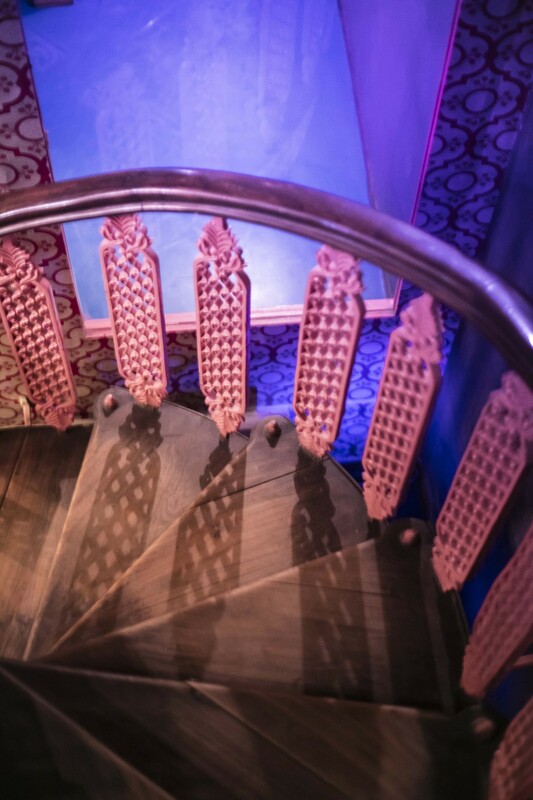 With kitschy decor of wrought iron staircases and boldy patterned wallpaper, the surreal setting engulfs you pretty quick in the dream that you have just entered into. The real magic happens as you sit, sniff and bite into the place. Comes the menu, stemming from the owners personal style, and created an interesting forplay of words and idea the signature cocktail menu is a deck of cards with a story attached to each drink on each card. 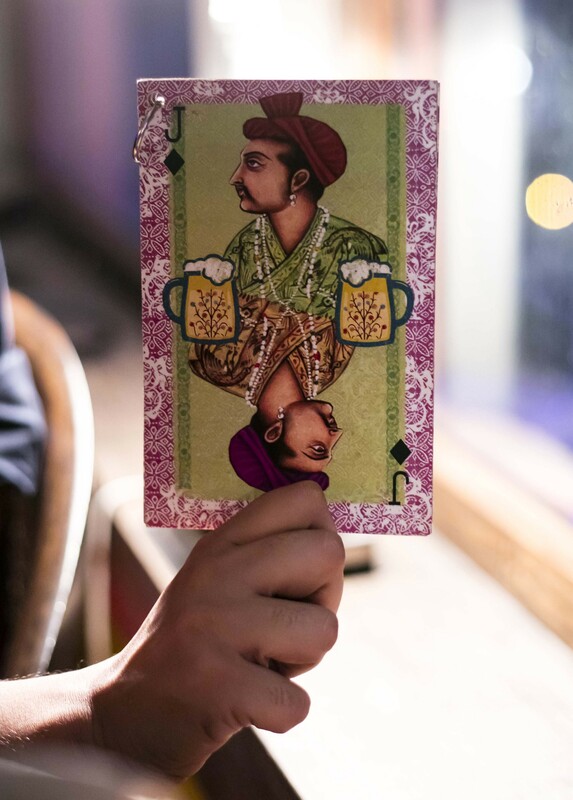 Ekka, Badshah, Begum, Ghulam (Ace, King, Queen, Jack) which each card having drinks inspired by the characters of the card. 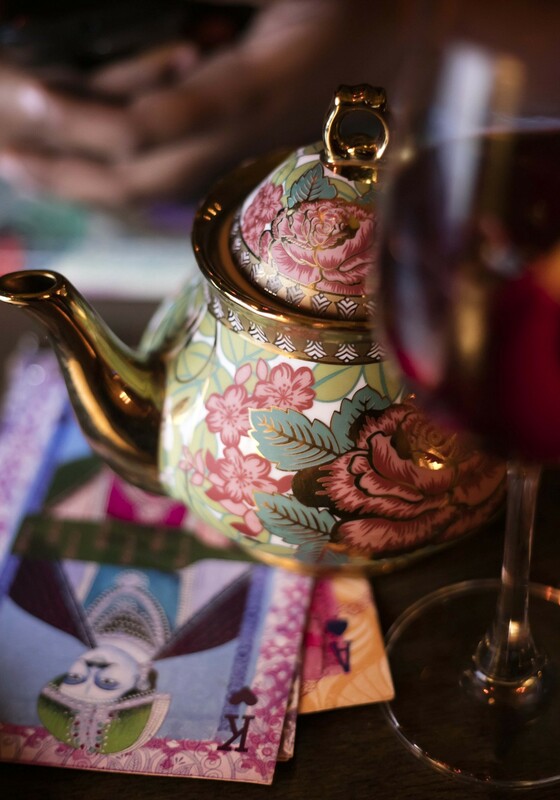 The menu unfolds itself, like the story itself. 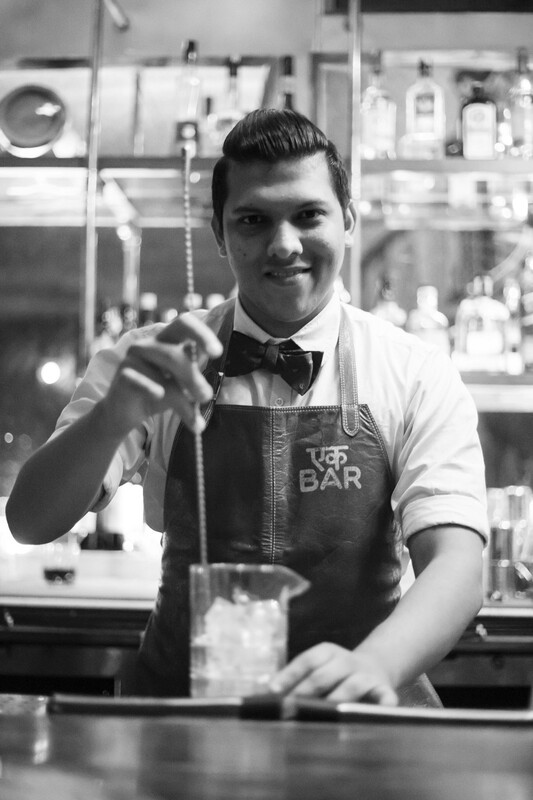 The evening started with the most talked about drink from the men — The Royal Indian Punch. 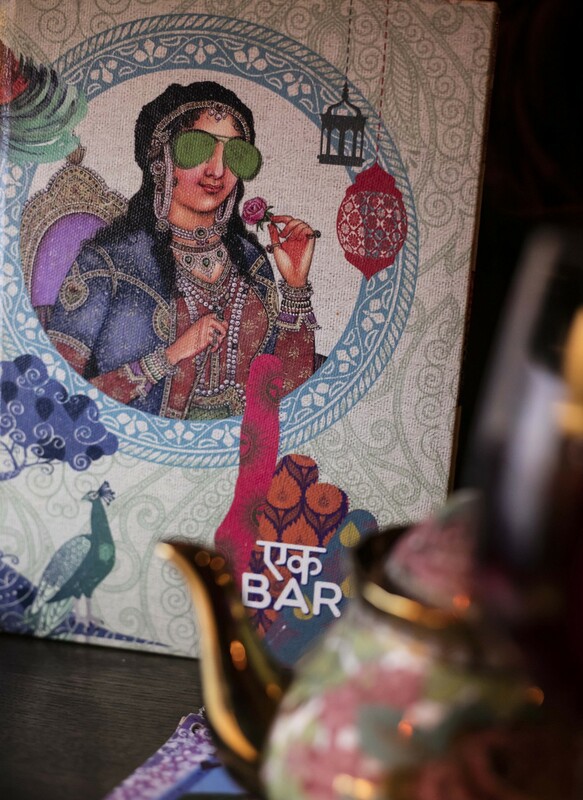 Coming from the idea of the Indian mix of five punch, the original idea behind the punch. 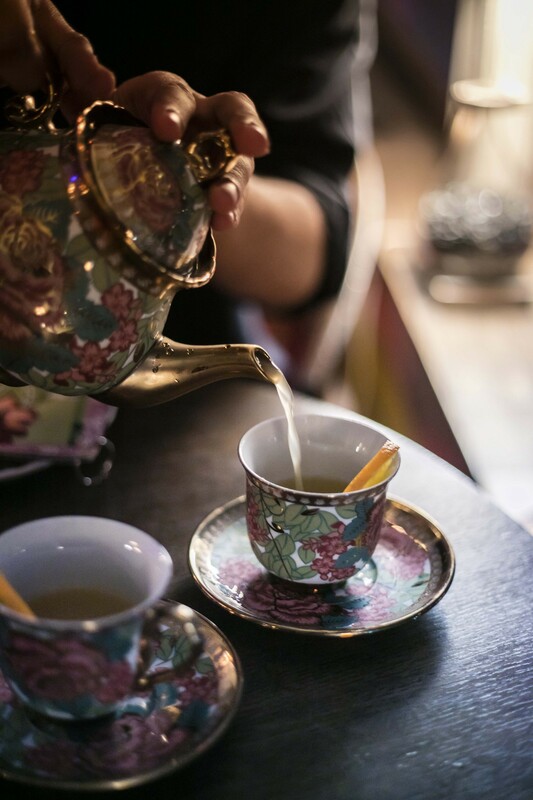 The drink served in an ostentatious tea pots with the right flavour of whiskey, citrus, aniseed and a lone star anise floating in the cup giving a warm fuzz to create your own gastronomic story. 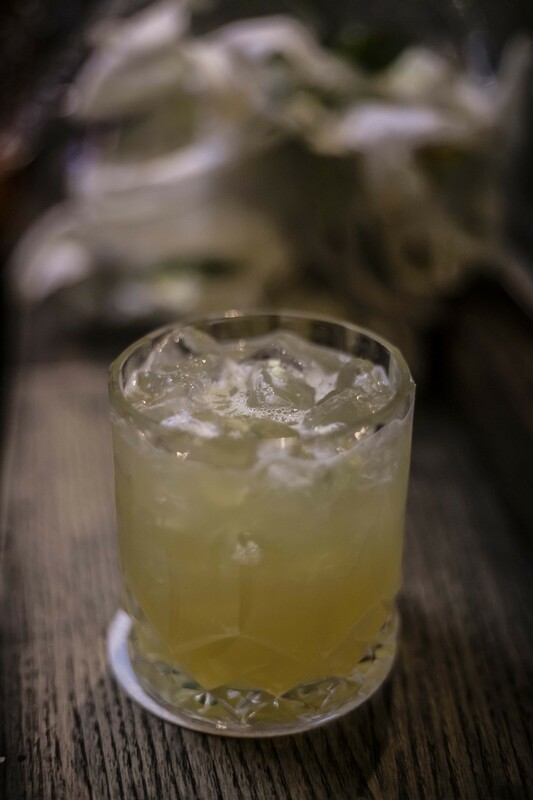 From the menu the other drinks that followed were the The Old Delhi Sour and Mogito Che, while chatting our time with Nitin Tiwari, the mixology genious, it was bemusement how the drinks were crafted. 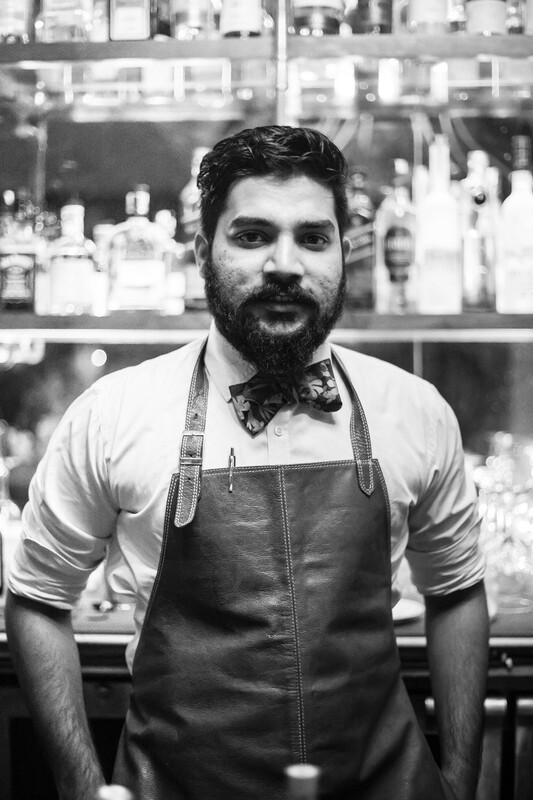 From the entirely Indian bitter spices and the citrus from amrak for the Indian Mogito, to making the Delhi sour special from the ingredients to the limited edition glasses from Old Delhi to make the whiskey sour truly Indian. Making these drinks special and like no other. With the experimental fusion food to go well with the drinks, in the most standoff manner served one after the other. 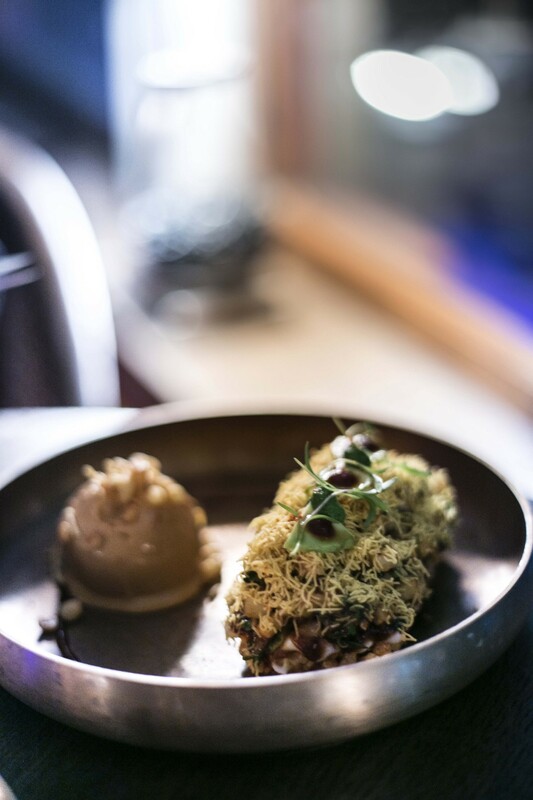 Ek Bar Granola Bar, the conceptual bengali jhal muri and nuts granola served with Dahi bhalla sorbet. 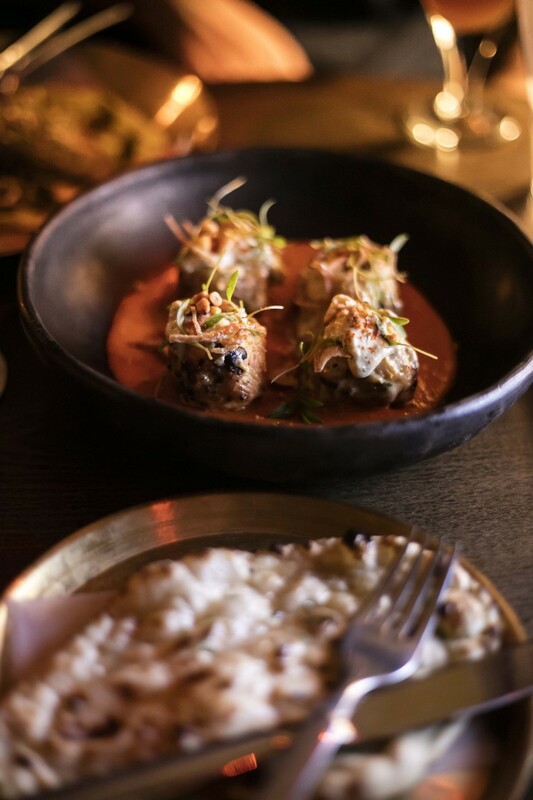 The spicy flavourful, clever dish makes you super excited for more food, overstated however interesting. 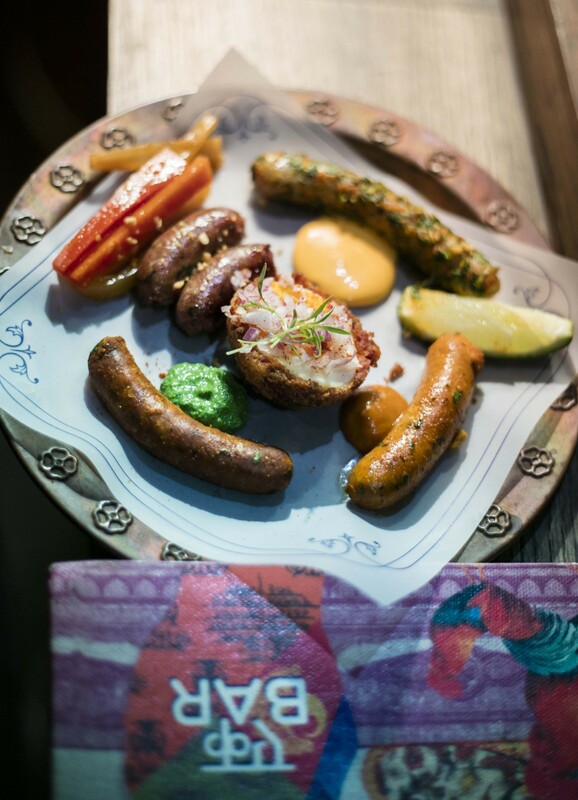 The Sausage Thali, different kinds of Sausages served with different homemade chutneys the mint, chilly and homemade mustard sauce. Where the sausages were flavourful nut dry the pickles and dips to go along were absolutely amazing and made up for everything. Goan Chorizo Sausage, being the best. 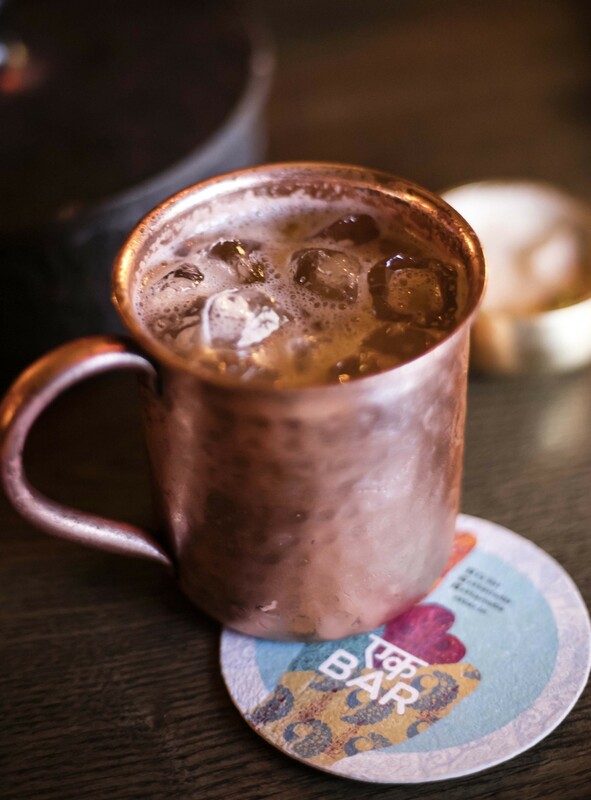 As soon as the evening progressed, we ordered for a Murabba Mule — Another twist on the Moscow Mule with Indian Murabba and a homemade ginger beer to make the drink refreshingly original. 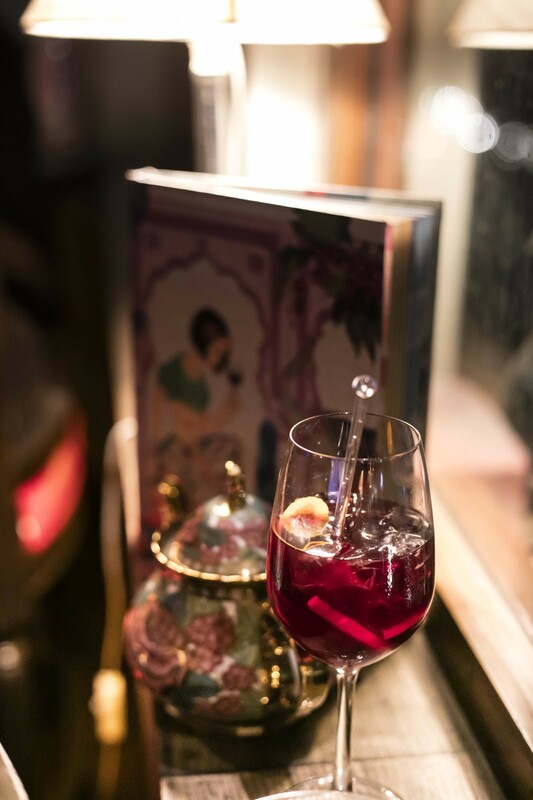 What also progressed was the Queen Victoria, another speciality from the menu and the most assertive influence of Calcutta on the menu — with a special ingredient, amada — Indian ginger and honey based thirst quencher. A personal recommendation. In mains we tried the popcorn khichdi served with tawa fried red snapper, the classic chicken changezi, chicken goli kebab and quinoa pulao. 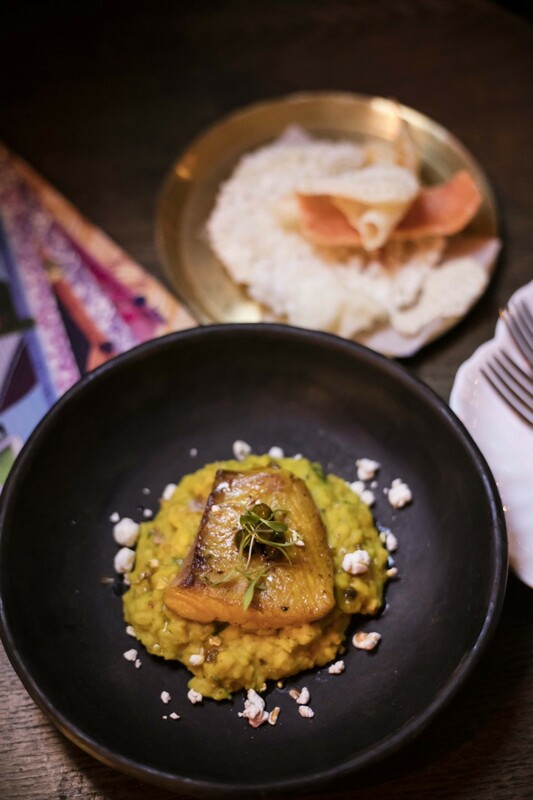 The popcorn khichdi with snapper was a mildly flavoured fusion dish with the right flavours minus the spiciness that comes synonyous with Indian food, what comes next is the chicken changezi getting its name from the firey Chengez Khan, one of the first invaders into the lands currently known as India. The stark contrast to the humble khichdi, chicken chengezi was spicy yet extremely delicious. 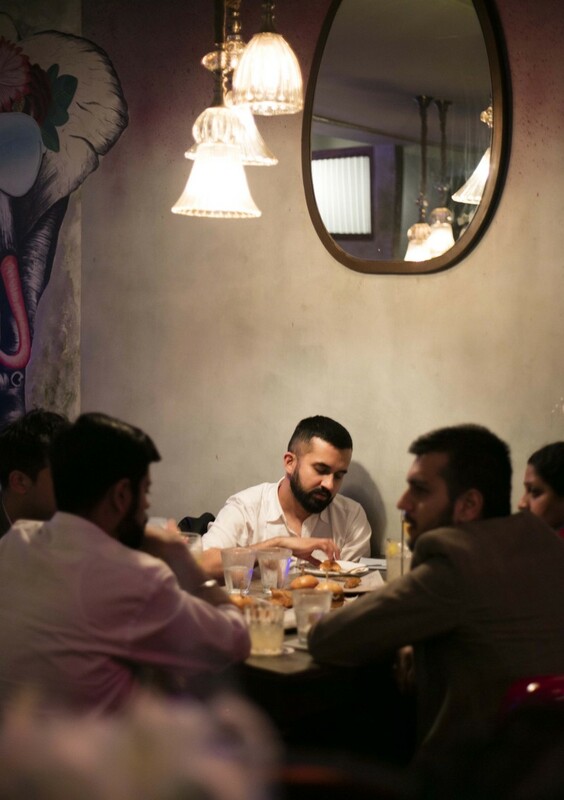 If, I have to recommend food from the menu of Ek bar — it definitely is going to either be from the chicken goli kebab or the quinoa pulao. Where the chicken meat balls are served with a red pepper gravy and a good hit of pine nuts as a binding agent. 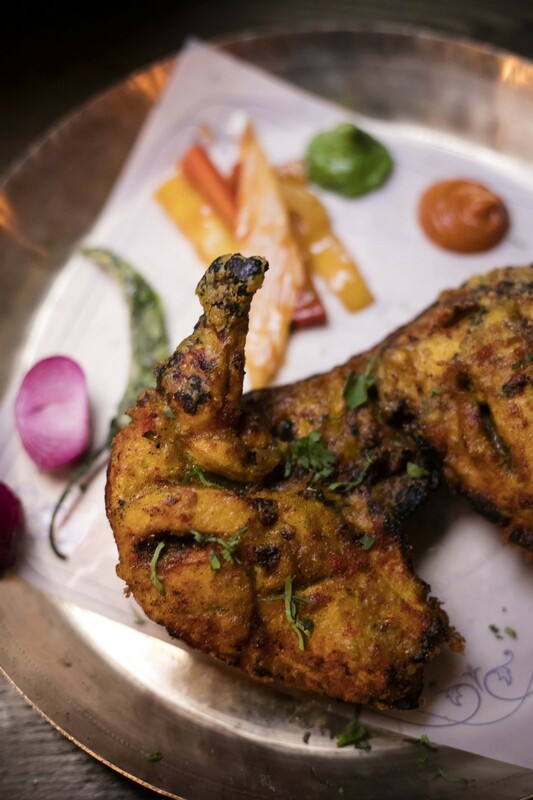 The taste reflects on the cleverness from Chef Sujan’s research and Chef’s Pujan diligent presentation. 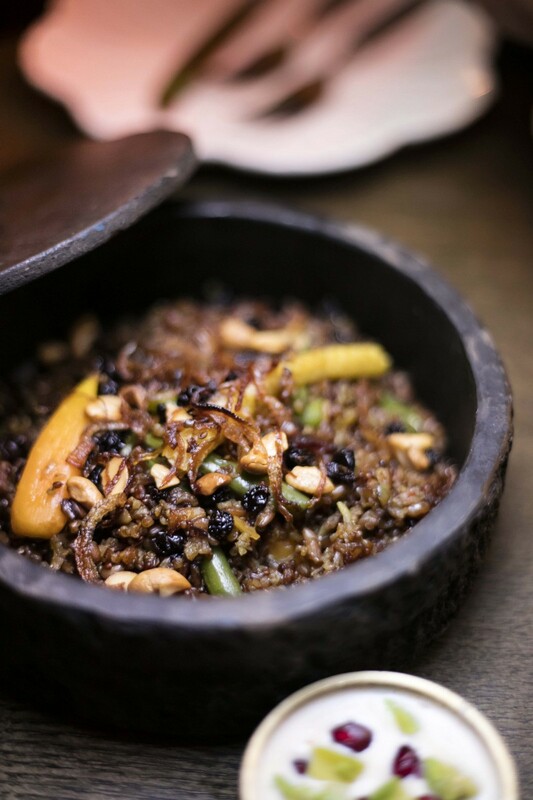 Quinoa pulao draws parallels to the already heated debate of best Biryanis in the country, making the tussle even stronger and drawing parallels to the other iconic dishes around the city. My prediction : This is going to be copied to the menus of more restaurants from hereon. I am keeping a close watch. After the main course been served with and eaten with utmost delight, we requested the chef to serve desserts in really small sizes however as many as he can. Chef being a real sport and with a really hearty smile, was game on. 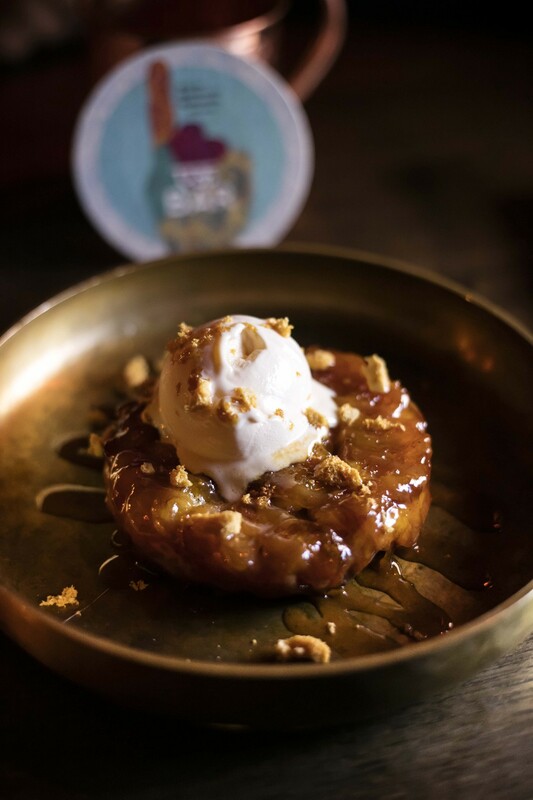 For desserts we got — The Auroville Chocolate Brownie, Banana Tarte Tatin, Carrot Halwa cake and Baked Saffron Yogurt. 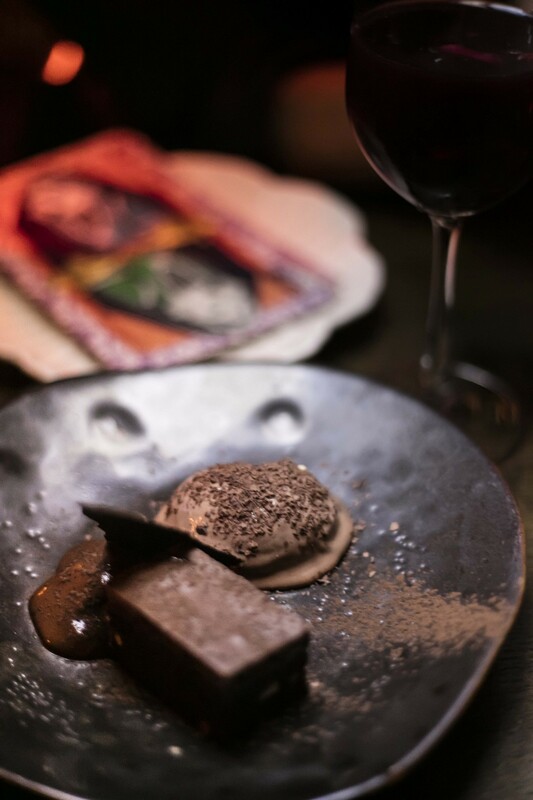 Where the Auroville chocolate brownie with dark chocolate ice cream and chocolate rusk and the hot banana puff pastry is served with vanilla ice cream and jaggery making both the European desserts, extremely Indian. 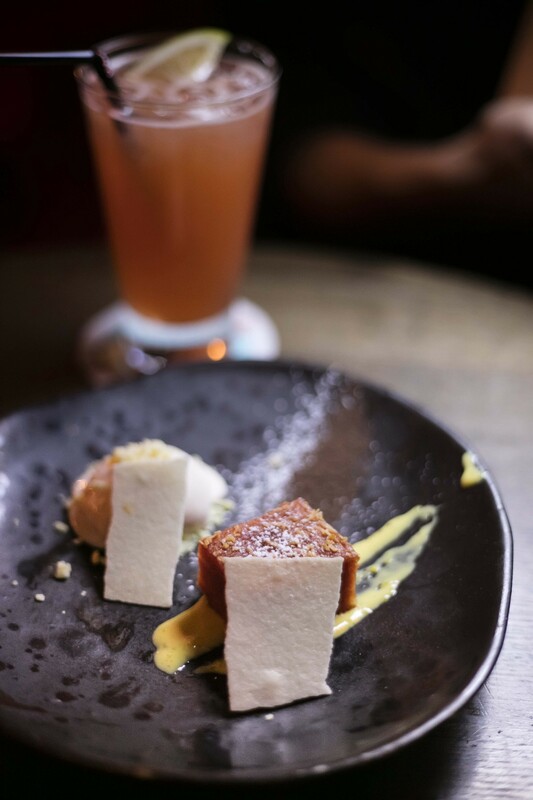 On the other side, the carrot halwa cake and baked saffron yogurt cake are the classic Indian desserts! Yes you guessed them right, the classics like Gajar ka halwa and the less popular ones like Shri Khand have had an European twist to themselves. 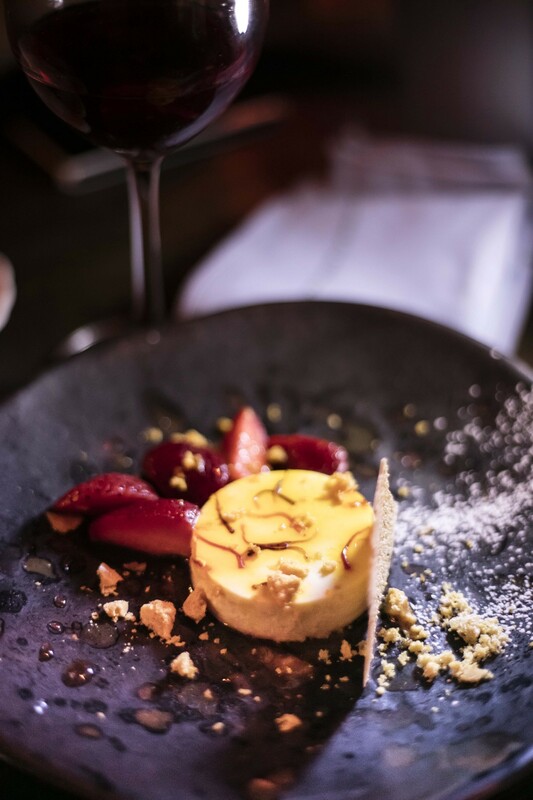 Where each one is starkly differentiated from one another however each is a reflection of global standards from the restaurant. 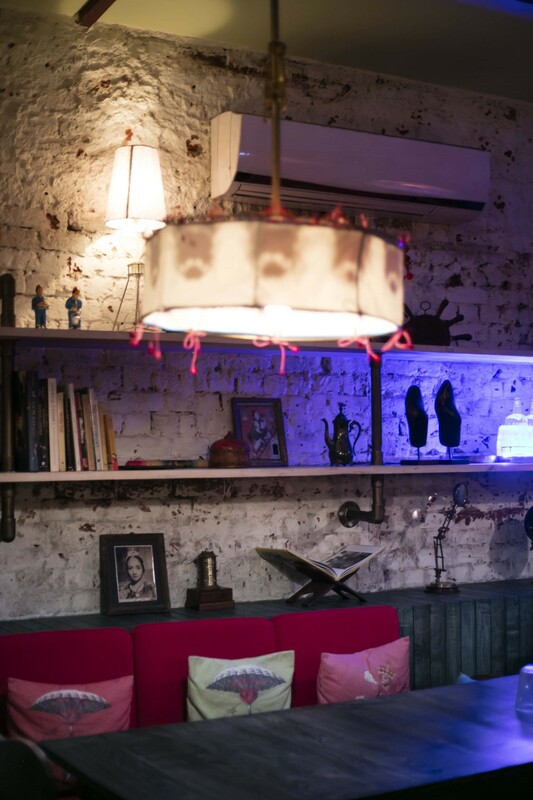 Conclusively, Ek Bar is one of the finest eatery and amazing bar that this city can ever have. 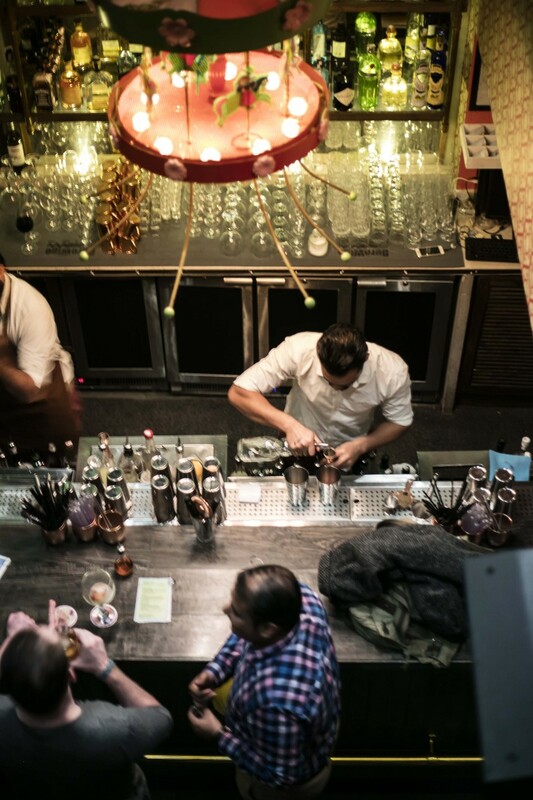 From the taste and brazeness of the Olive’s Maestro, master mixology and reiteration on the cleverness and diligence of the best in the kitchen. 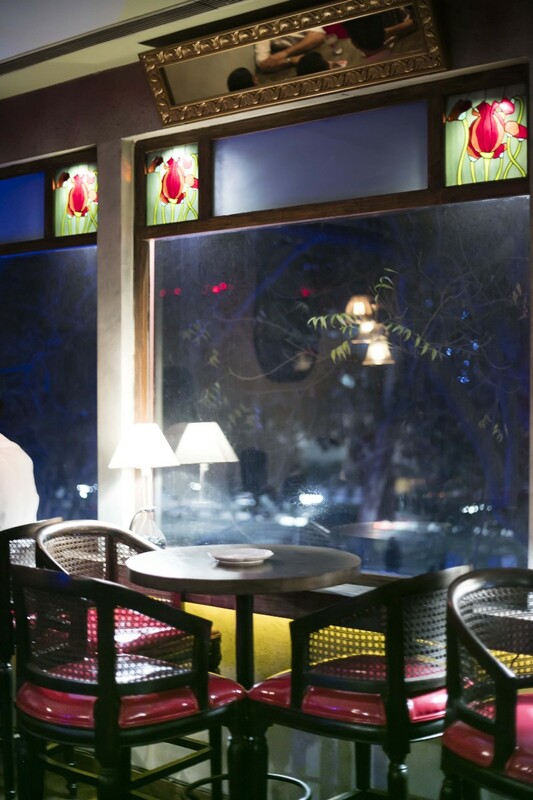 Ek Bar is a turn around property for the Delhi’s social life. It is artistic enough to be not written off for days to come and it is bemusement with its treatment. There is definitely a great sense of joy in experiencing the place and chronicling the story. We are a collective inspired to start conversations about art in spaces accessible to all, using story telling. 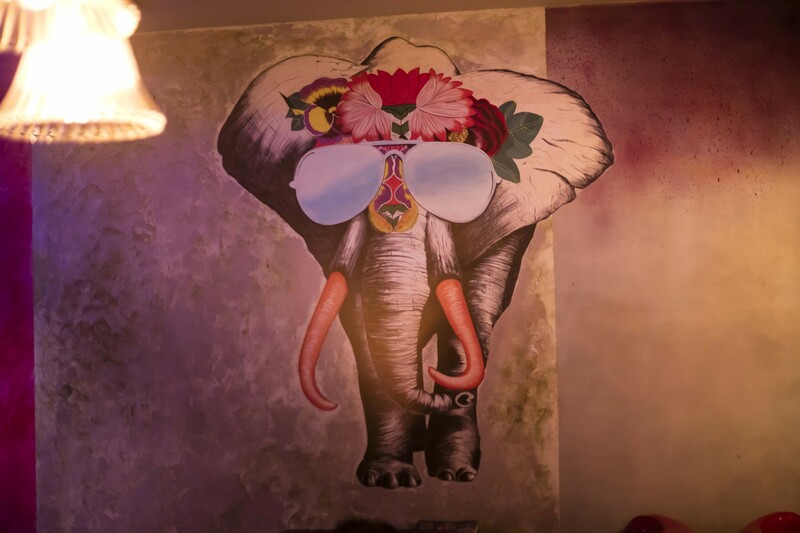 Our purpose is to curate art and enjoy every bit of it. We are designers, photographers and artists wanting to actively engage our audiences on social platforms.